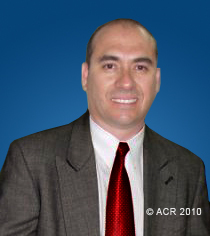 Here are some of the top board certified doctors in Costa Rica. To say they are our favorites would be an understatement. They are among the best of the best. They are all well-respected among their peers in the Costa Rica medical community, and have a strong client base of well-satisfied American patients. Please feel free to contact any of the doctors. Board Certified. 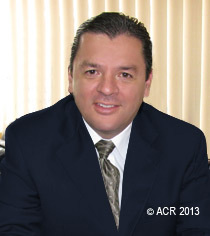 Member, Costa Rican Association of Plastic Surgeons; Certified Specialist, Plastic, Reconstructive and Aesthetic Surgery, Costa Rica College of Doctors and Surgeons, Dr. Araya specializes in all areas of cosmetic and reconstructive surgery and is known worldwide for his surgical and aesthetic skills. He is an expert in all areas of moderns plastic surgery. Faculty member, JCI-accredited CIMA Hospital. Offers wide range of plastic surgery procedures. Board Certified, International Member, American Society of Plastic Surgeons (ASPS), International Candidate, American Society for Aesthetic Plastic Surgery (ASAPS), Member, Costa Rica Association of Plastic, Aesthetic and Reconstructive Surgery (ACCPRE), Dr. Chavarria is among the very top surgeons and offers a full range of plastic and reconstructive surgery procedures. Admitted to all major JCI-accredited hospitals and surgery centers. Professor of Surgery at Major Universities. Faculty, JCI-Accredited La Catolica Hospital. Board Certified. 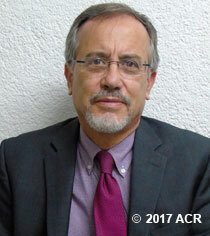 Past President of the prestigious Costa Rica Association of Plastic, Reconstructive and Aesthetic Surgery (ACCPRE), Member, International Federation of Plastic, Reconstructive and Aesthetic Surgery (IPRAS), Member, Ibero-Latin American Federation of Plastic and Reconstructive Surgery (FILACP), Member, Costa Rica College of Physicians and Surgeons (CRCPS). Dr. Pacheco is one of the foremost plastic surgeons in Costa Rica and performs a full range of state-of-the-art surgeries using the latest minimally invasive techniques. Advanced plastic and reconstructive surgery. Faculty, all Costa Rica JCI-Accredited Hospitals. Fluent English, French, Deutsch, Portuguese and Spanish. Notice: All plastic surgeons in Costa Rica are certified by the Colegio de Médicos y Cirujanos de Costa Rica.